Do you ever wonder how your wheels and tires are able to rotate so smoothly? There is a hub connected to each wheel of your vehicle. The interior of each hub has their own wheel bearings which are lubricated. It is these bearings which allow the rotation of the wheels and tires to be so smooth. You must remember that a lot of heat is generated as your vehicle moves like this. The bearings don’t generate heat like its surrounding components. This is how it keeps the smoothness alive. Car wheel bearings are designed to last a long time. Most people will never need to replace their bearings if they only keep their car for about 5 years. However, if you keep your car longer than that, you can expect the lubrication properties of your wheel bearings to wear off. Once that happens, your wheel bearings will not be able to sustain a smooth rotation of your tires and wheels any longer. In some cases, worse symptoms are bound to happen that will put your life and others’ lives in danger. It is important that you recognize all the major symptoms of bad car wheel bearings. Below are the top 7 symptoms which you will easily recognize as one or more of your wheel bearings start going bad. 1) Uneven Tire Wear – If you have a wheel bearing that is bad, it will cause its wheel to run less smoothly than the other wheels. This will have a grave impact on the tire that is attached to the wheel. You’ll see more wear on its tire tread than the other treads. As a result, your driving experience will not be smooth. 2) ABS Failure – When the clamp of your wheel bearing goes bad, all the movement of your vehicle will damage its braking sensors. This could eventually lead to the complete failure of your anti-lock braking system. Although this symptom is rather rare for a bad wheel bearing, it could happen if you have multiple bad bearings. 3) Steering Wheel Vibrations – If your steering wheel bearings are worn out, your steering wheel will start to vibrate. The vibrations will actually get worse as you drive at lower speeds. However, after a while, the vibrations will get worse at faster speeds. Although it is not a serious problem, you may get annoyed with feeling these vibrations in your hand as you hold the steering wheel. 4) Grinding Noises – Bad wheel bearings will cause grinding sounds in your tire and wheel areas, depending on which area has the bad wheel bearing. These noises are an indicator that your wheel bearing no longer has the lubricating properties it needs to move your wheel smoothly. 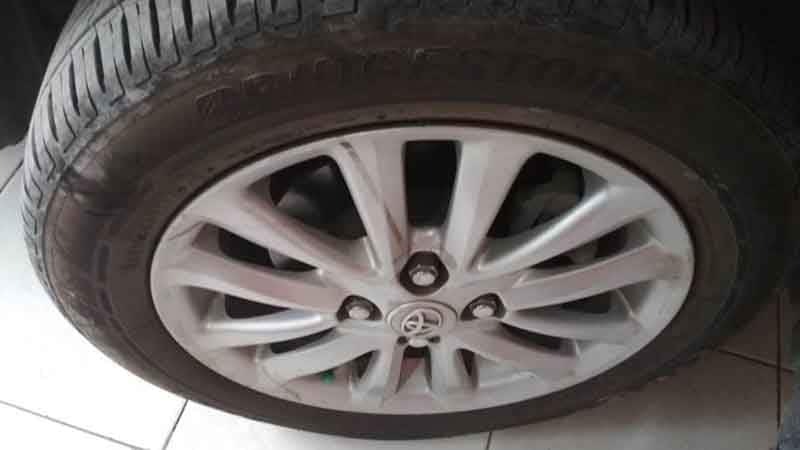 5) Pulling While Braking – If you step on your brake pedal and feel the vehicle moving too much to the left or right, you may have a loose wheel bearing somewhere. This looseness generally happens because of excessive wear on the bearing after years of use. 6) Rumbling While Turning – When you turn the wheel and hear a rumbling sound, this might be a sign that you have a bad wheel bearing. In most cases, the rumbling sound will be coming from the side of your vehicle that does NOT have the bad wheel bearing. 7) Wobbly Wheels – If your wheel bearing is severely damaged, it will cause the wheel itself to become wobbly. You can test this out by taking your vehicle to a mechanic and having them raise the vehicle on a hydraulic lift. Either that or you can jack up the vehicle on the side that has the bad wheel bearing. Now just shake the wheel with both hands. If it wobbles, then the bearing is definitely bad.